We enjoyed a weekend of picking apples and we’ve got a lot of apples to eat. We picked Jonagold, Gala and Ginger Gold and want to put them to good use. This time of year is the best time to eat apples. They are so sweet and we eat a lot of them. 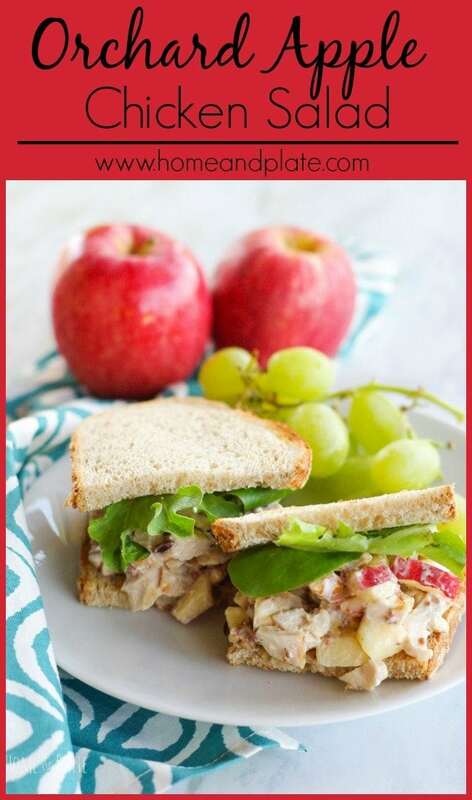 I’ve got lots of great recipes featuring apples on Home & Plate. My kids love homemade honeycrisp apple crisp. My mom is a huge fan of my apple and bacon quesadillas. And I could eat an apple and pecan salad every day for lunch. But today for lunch we decided to whip up a bowl of homemade chicken salad. Leftover rotisserie chicken from the night before comes in handy this afternoon. 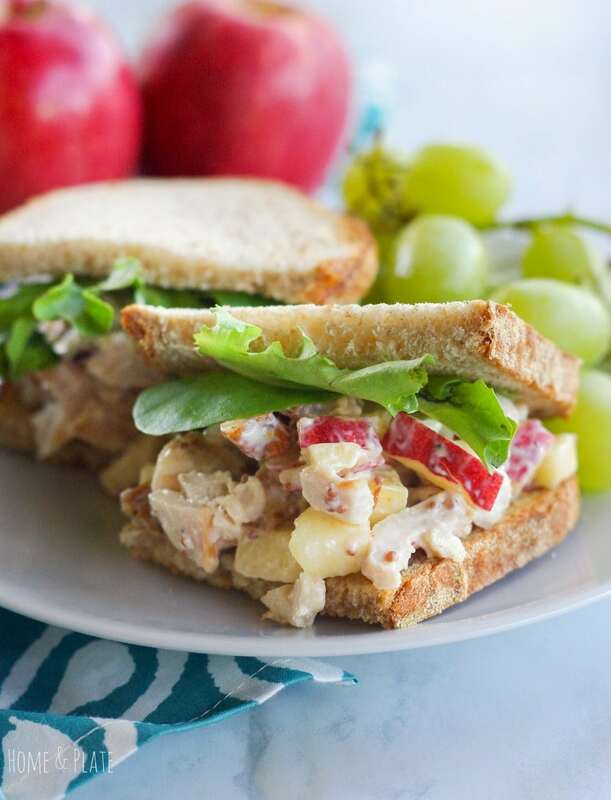 The flavors from the chicken, crunchy apples and toasted pecans work great together to make the perfect chicken salad. Sweet and crunchy with a bit of mayo and mustard to hold the ingredients together. It’s delicious served on bakery bread or on fresh greens with a side of fruit. Every fall we enjoy picking pumpkins but we’re lucky to have an apple orchard so close by. The kids really love picking all the apples they can fit in their baskets. I absolutely love taste testing all the delicious treats that are available to guests. Aside from fresh apples I would say fresh pressed apple cider is a favorite. You certainly can’t buy that in the grocery store. Last year I created a homemade salted caramel apple martini using fresh apple cider from the orchard. It’s a cocktail to consider. Is it 5 o’clock yet? In a mixing bowl, toss all the ingredients until well mixed. Serve on fresh bread from the bakery. I love chicken salad! Can’t wait to try this recipe! Me too!. Thanks so much Luci. 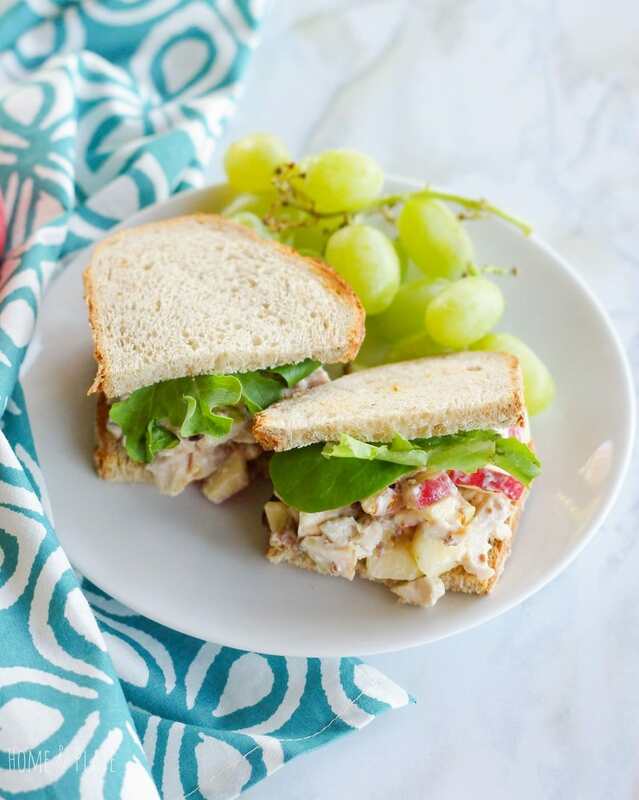 This is a nice (and nutritious) twist on regular old chicken salad! I bet kids would love it! Yes Christina my kids do love it. With the sweet addition of apples this is a lunchtime winner. Thanks so much. I LOVE chicken salad!! 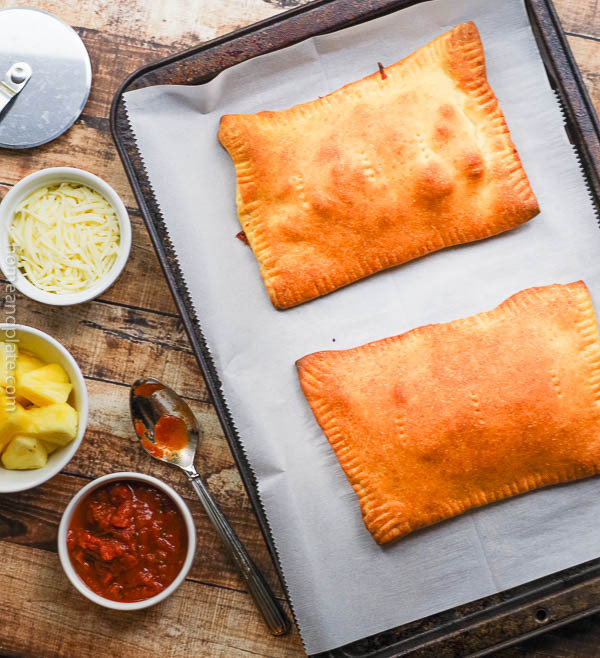 This recipe sounds easy to make and delicious. Love the use of apples! 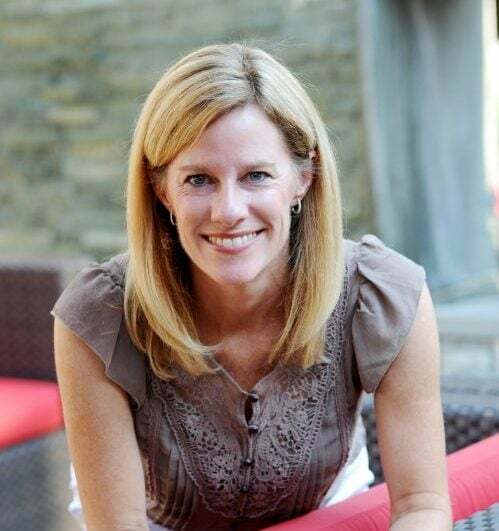 Thanks Kristine…I love the sweetness of apples paired with chicken. One of may favorite kinds of sandwiches. I love chicken salad, I’m not sure why I don’t make it more often. Apples in your recipe gives the salad a crunchy, sweet surprise. Thanks. 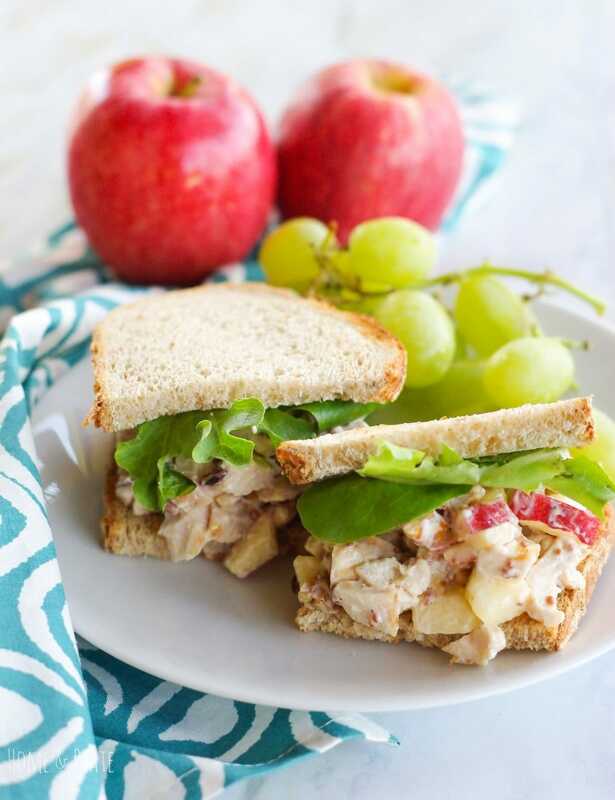 This is so perfect for fall and a great way to use up some leftover rotisserie chicken! Yum! I agree thanks Taylor. 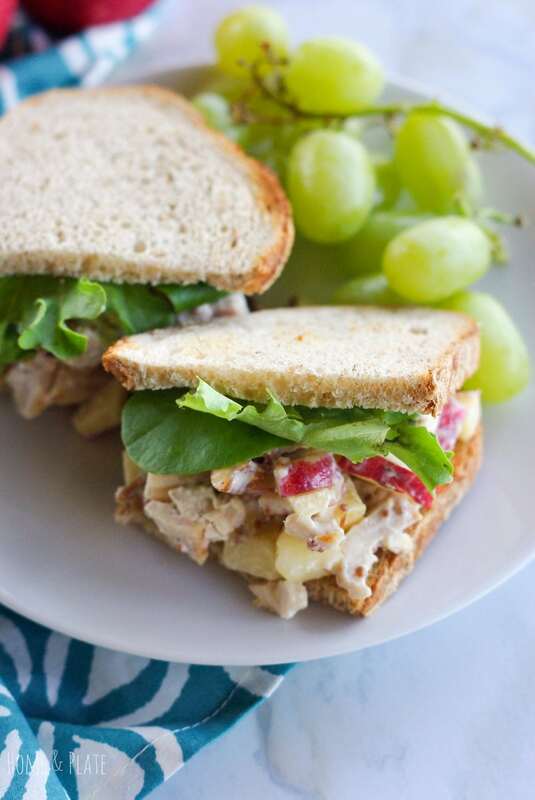 Chicken salad is a favorite of mine. 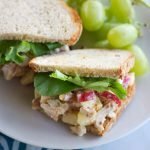 This chicken salad is right up my alley – a great combo of flavors — and I always add a little whole grain dijon mustard to mine, too! Thanks Lisa. I think the Dijon adds great flavor paired with the apples. amazing combination of flavor. looks beautiful! This chicken salad looks yummy! I love some sweet with my chicken salad and this fits the bill.